Normally I provide a canned equivalent for the beans in my recipes. I will not do that for this recipe. First, because I have never used canned lentils so I don’t know what the equivalent is. Also, lentils don’t need to be soaked and have a relatively quick cooking time. This soup benefits from having all the ingredients simmered together for 30 – 60 minutes. Put all ingredients in a pot and simmer until lentils and veggies are cooked through. This can take anywhere from 30 minutes to 1 hour. If using fresh parsley, reserve until the soup is cooked through and add at the end. All other herbs can be added at the beginning. 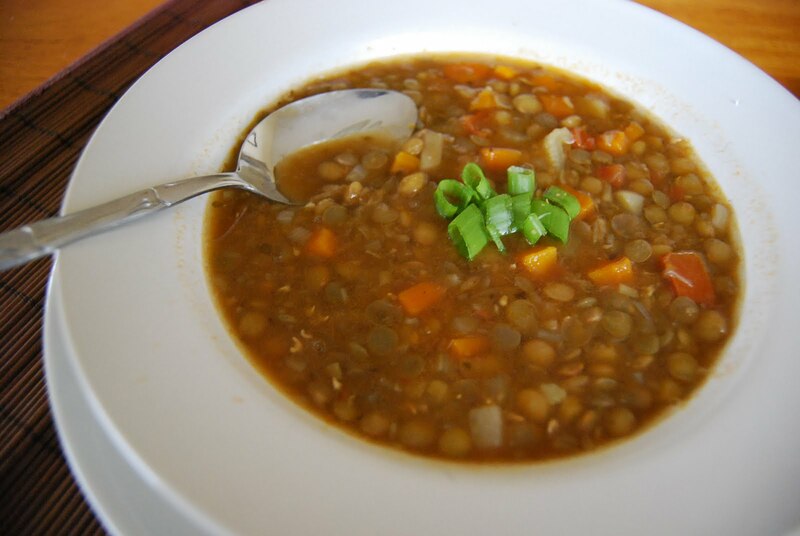 Substitute green or yellow split peas for the lentils above and follow the recipe exactly. Leave as is for a chunky version or puree for a smoother consistency. I love to add rice, especially brown rice, to my lentil soup. It makes it heartier and gives it extra texture. You can mix it in or serve it on the side. Be on the lookout for my Lentil Stuffed Cabbage recipe in a few weeks. Categories: Veganomics | Tags: Affordable, Beans, dairy free, Dried Beans, gluten-free, healthy, healthy food, ingredients, low fat food, RealishFood, vegan, Veganomics, vegetarian, wheat free, whole food | Permalink.